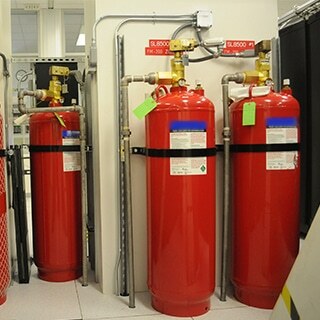 The IG-55 fire suppression system uses an inert gas that offers effective fire protection with zero environmental impact. 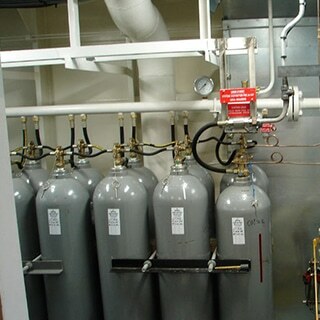 It is a simple blend of 50% Argon gas and 50% Nitrogen gas with a density similar to that of air. 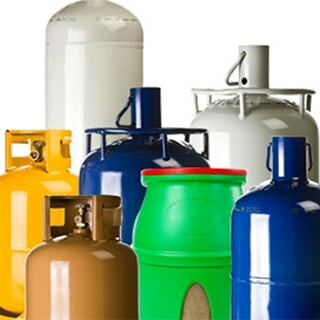 Both Argon and Nitrogen are clean, natural gases that are readily available throughout the world. Argonite is safe and effective for use on many applications – it is well suited for leaky enclosures such as flight simulators, substations, and control rooms and for application with multiple hazards. The latest and most environmentally responsible fire suppression system available 3M™ Novec™ 1230 Fire Protection Fluid is engineered to provide clean, fast, people-safe protection for applications requiring a “green” solution to fire suppression. Novec™ 1230 Fluid presents distinct environmental benefits, including a zero Ozone Deletion Factor (ODP) and the lowest Global Warming Potential (GWP) of any chemical based clean agent, key to satisfying demands of environmentally sensitive markets and end-users. 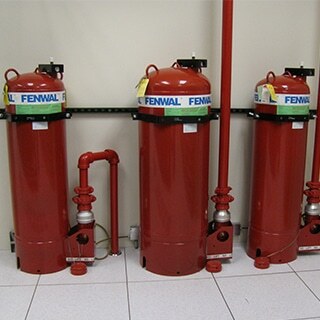 FM-200 is the preferred fire suppression system for vital facilities that can’t afford fire-related business interruption of process controls, automated industrial operations, robotics, etc. Active on fire, but inert on people; non-toxic when used per NFPA Standard 2001. 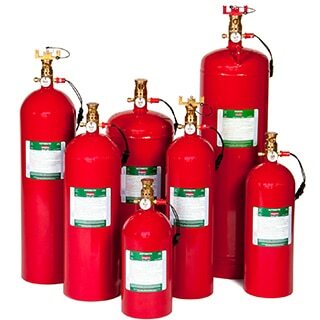 FM-200 is safe for use, leaves no-residue and is suited to Class A, B and C fires. Carbon dioxide reduces the oxygen content of the atmosphere to a point where combustion becomes impossible. This system is available in three application configurations: total flooding (for unoccupied areas), local application or hand-hose line. The system includes detectors, a control unit, agent storage cylinders, piping and discharge nozzles. Gaseous carbon dioxide rapidly suppresses fire by a combination of cooling and oxygen displacement. Discharge duration and agent flow rates are customized for the individual application. The Kitchen Fire System offers 24-hour automatic or manual protection for commercial cooking areas; ducts, plenums, hoods and cooking surfaces. Wet chemical agent designed for quicker flame knockdown and faster suppression. It offers unmatched coverage, with fewer discharge nozzles and flow points, meaning reduced installation time and cost. 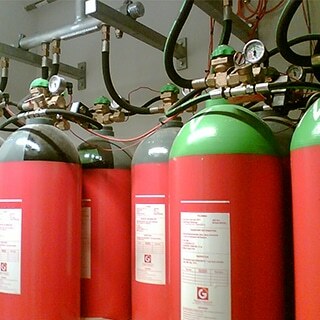 The Industrial Dry Chemical System provides 24-hour fire protection for a wide variety of industrial processes, equipment, machinery and paint spray booth applications. The system has the choice of two dry chemical agents effective on Class A, B and C fires.